Tire safety tips and advice are often found in your vehicle owner’s manual. If an owner’s manual isn't available for reference, ask an auto technician about the recommended air pressure for your tires and check regularly to ensure that they are inflated to the suggested PSI. RightTurn recommends consulting technicians at your local auto dealership. Dealerships are the only places that employ automaker-certified technicians. To check the tire pressure on your car, you'll need a tire gauge. These are simple instruments that can be kept in a vehicle storage compartment. It's best to test the tires when they are cold, or a few hours after driving. As they warm up, air pressure may fluctuate slightly depending on road surface and the type of driving done on the tires. To use a tire gauge, remove the valve cap and place the gauge firmly on the valve, depressing the valve stem. This will give you an immediate reading. Replace the valve cap and repeat the process on the remaining tires. Tire care and maintenance all too often fall by the wayside a few months after a vehicle has been purchased or new tires have been installed. Tire care should be viewed as essential. It's absolutely necessary if you want your vehicle to be safe and more importantly if you want your passengers to be safe. In addition to safety, quality tire care will ensure the longevity and performance of tires, which will minimize the expenses of having to replace them prematurely. Tire care will also enhance the efficiency of a vehicle, helping it maximize fuel usage for the best possible gas mileage. Consider these simple tire care tips. Overall, tire care is something rather simple. It only takes a few minutes of routine maintenance on a monthly basis. As tires experience normal wear and eventually become bald—whether in one spot or across the whole surface of the tire—it's time for them to be replaced. If tires have been properly maintained through routine rotations, balancing, and alignment, all four tires should wear out at the roughly the same rate. Another reason to invest in new tires, as opposed to attempting tire repair, is uneven wear on a tire or tires. Uneven wear is most commonly associated with tires that are overinflated, under-inflated or on wheels that are poorly aligned. This problem is usually easily detected if tires are rotated properly every 5,000–6,000 miles. Uneven wear may result in the need for two new tires, as opposed to four, so long as there is no uneven wear or damage noticeable on the other tires. We all wish tires would last forever, but they don’t. So you need to be prepared to determine if your tires are bald and need to be changed. It's illegal to drive on bald tires, and more importantly, it's unsafe. Here are some tire tips from RightTurn.com to keep you informed, legal, and safe. Tread depth is the height of the tread from the bottom of the grooves in between the treads. As you drive on your tires, the tread wears down and the tread depth gets smaller. When the tread depth gets too small, your tires may no longer be legal and stop being safe. Your tread should wear down evenly across the width of your tires and around the circumference of your tires. If the tread wear is uneven, it may be a sign that something isn’t right with your tires or suspension system. Uneven wear also indicates that you should check your tires’ air pressure, or it might be time to get your tires rotated or your wheels aligned. You may be asking, “How can I measure my tread depth?” and “How do I know if my tires are bald?” RightTurn.com has the answers. There are many different ways to measure tread depth and determine if your tires are bald. We outline the most common ways below. You can always contact your local dealership to have an expert tire inspection performed if you're worried about doing it yourself. The most accurate way to measure a tire's tread depth is to use a tread depth gauge. Zero the gauge by pushing the gauge’s probe down as far as possible onto a flat surface. Place the flat end of the gauge (the side where the probe comes out) on treads on each side of a circumferential groove (the wide grooves that run all the way around the tire’s circumference). Push down on the measuring stick, extending the probe down into the groove as far as possible. Carefully remove the gauge without bumping the probe or the measuring stick. The tread depth is read where the top of the gauge’s barrel meets the measuring stick. Make sure you are reading the correct units. Most tread depth gauges provide standard and metric measurements. Repeat this process at 15 inch intervals around the tire and in all of the circumferential grooves. If the tread depth is 2/32”, your tires are bald. Depths of 2/32” and smaller are illegal in most U.S. states. No matter where you drive, tires that are bald are unsafe. Here are two easy and effective methods for estimating your tread depth. These simple tests can be conducted at home without any specialized equipment. All you need is some pocket change. Place a penny in your tires’ circumferential grooves with the top of Lincoln’s head pointing toward the center of the tire. If you can see any space above the top of the head, it’s time to replace your tires. Place a quarter in your tires’ circumferential grooves with the top of Washington’s head facing the tire. If you can see any space above the top of the head, less than half your tread remains. Many service professionals recommend replacing your tires at this time if you drive in inclement weather or are planning a long road trip. If your tires are bald, it’s time to change them. Bald tires decrease traction and braking ability, especially in wet and snowy conditions. But don’t worry. RightTurn.com will help every step of the way from choosing the right tires for your vehicle to getting them installed by a local, automaker-certified technician. If you have any questions or want to set up a tire inspection, contact RightTurn.com or your local dealership. It's no secret that buying tires would be much easier with a solid understanding of tires. That's probably why you're on a page called "Tire Facts." Information that will help with your purchase includes how they're manufactured, which are right for specific vehicles, and how to understand the complex tire codes that are listed on the side of the tire. Simple tire facts will also help you to maintain your tires once they are on a vehicle, allowing for optimal wear, performance, and vehicle safety. The following facts will improve your understanding of tires and guide your purchasing decision. Tires are made of several different components, including the tread, sidewall, and tire plies, to name a few. The precise combination of variations of these components allows for the construction of tires that are particularly good in certain conditions, certain kinds of driving, and certain kinds of vehicles. Each tire has a tread pattern, which is the part of the tire that comes into contact with the driving surface as the tire rolls. The area that is actually touching the road at any given moment is known as the contact patch. Treads are made up of tread blocks, which can vary in size, shape, look, and function. Additionally, the tread pattern is made up of the area known as the tread void, which consists of the grooves between the tread blocks and allow the tread blocks to remain flexible. Tread grooves also remove water out from under the tire as it rolls. Some tread patterns possess rain grooves, which are often deeper than the tread void and are designed to enhance water evacuation from between the contact patch and road surface. Tires contain what is known as a wear bar. The wear bar serves as a built-in warning system to alert you when the tire needs to be replaced. This small raised feature within the tread void or groove is easy to see upon visual inspection. The sidewall is the side of the tire that's easily seen when a tire is mounted on a vehicle. It has a great deal of information on it including the manufacturer's name, the size of the tire, the maximum inflation, etc. The tire bead is the part of the tire that holds it securely onto the rim. It is constructed of a durable rubber compound that's reinforced with a small steel cable. Keeping your tire properly inflated is crucial for ensuring that the tire bead keeps a strong seal between the tire and the rim. The tire shoulder is the area of the tire where the sidewall and the tread meet. Layers of various materials, including fabrics, plastics, metals, and rubber are laid inside the tire to help it maintain its shape throughout the wear and tear it experiences with pressure from the air inside and the road outside. Each layer is known as a tire ply. Most tire specifications can be found on the sidewall of the tire. They are included in the series of letters and numbers sometimes referred to as the tire code. The specifications included in the tire code are the tire size, whether or not the tire has radial construction, the type of vehicle the tire was manufactured for, and may also include the speed rating. You'll also find inflation information on the sidewall of the tire, including maximum PSI that a tire is capable of. Tire specifications also include the load rating, which is important for vehicles that will be used for hauling or towing. The optimal inflation level and load rating can be found in your vehicle owner's manual. When many people begin shopping for tires, they have a certain look in mind for the type of tires they'd like to see on their vehicle or a specific tire that they've had good experience with. While you may want a certain look or a certain tire, you may not find one that fits your vehicle. It's absolutely necessary to use the manufacturer-recommended tire size in order for your vehicle to perform safely. In fact, automaker-certified technicians like those employed by dealership won't install any tires on your vehicle that aren't the perfect size. And these technicians know your vehicle best. 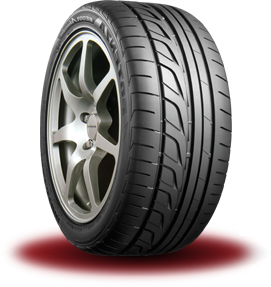 When you use your car on a daily basis, good tires are absolutely essential for the highest level of safety possible. To many, tires are just something that's necessary to pass an automotive inspection and get from point A to point B. To others, tires are key to optimal vehicle performance as well as making their vehicles look good. When it comes to vehicle performance, a set of four new tires can quickly shift a driver’s perspective from seeing tires as unimportant. New tires are a quick reminder of what the automotive design team had in mind when they manufactured your vehicle. The right tires can make a vehicle perform as intended. Place a penny between the tread grooves with the top of Lincoln’s head nearest to the tire. If you can see any space above the top of the head, it’s time to replace your tires. Take your vehicle to the dealership for a complete safety inspection. Place a quarter between the tread grooves with the top of Washington’s head nearest to the tire. If you can see any space above the top of the head, less than half your tread remains. Some service professionals recommend replacing your tires at this time, particularly if you plan on driving in inclement weather or on a long road trip. 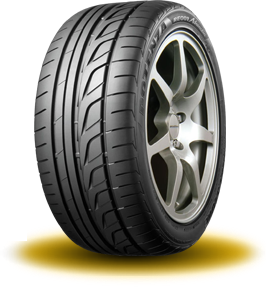 As briefly mentioned, the biggest advantage of buying new tires in the added safety you'll get from them. 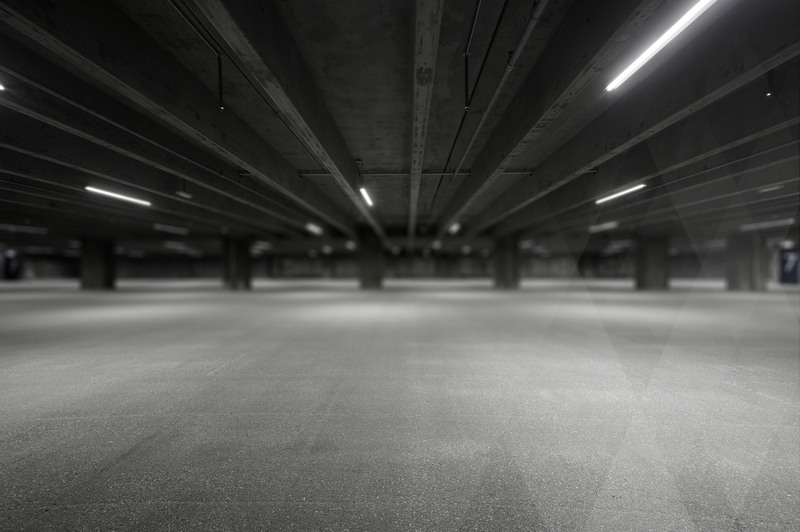 They can help provide optimal traction, handling, and performance capability on a variety of paved and unpaved surfaces as well as in inclement weather such as rain or snow. New tires can also decrease braking time and stopping distance. In addition to vehicle safety, new tires can also offer optimal performance tuned to a specific vehicle because tire manufacturers often work directly with automakers to develop tires for that make and model. Consult your local tire dealer when it’s time to replace your tires. When you have to deal with high gas prices, insurance premiums, maintenance, parking fees, and everything else, keeping your vehicle on the road can be expensive. In today’s economy, it’s always nice to find a way to save a few bucks. This can be especially true when it comes to your vehicle. However, one thing you shouldn’t skimp on is replacement tires. Many drivers are tempted to outfit their car or truck with used tires in order to save a little money. RightTurn.com does not recommend buying used tires. Driving on used tires can lead to expensive repairs or dangerous accidents. The main reason that used tires are a bad idea is that they're dangerous. In spite of the fact that secondhand tires may look okay, they could be five or more years old. Unlike fine wine, tires don’t improve with age. Instead, they become worn and susceptible to malfunction or puncture. You usually can’t tell how much a tire has aged just by looking at it. While a tire might look fine on the outside, the rubber compounds inside may oxidize, causing the tire to deteriorate from the inside out.In some cases, used-tire dealers paint their products black in order to make them look new. Unlike with the sale of new tires, there's little quality control in the used-tire industry. Used tires may come from scrap heaps or salvage yards. They may not even get a safety inspection before they're sold again. It’s also important to note that used tires are not subject to federal standards. This means that having such tires installed on your vehicle goes against RMA- and automobile-manufacturer-approved practices for the repair and replacement of tires. These standards were established so that people can use public roads safely. Simply put, you should only outfit your vehicle with new tires. RightTurn.com also recommends that you have them installed by automaker-certified service professionals such as those you would find at a dealership. By going to the dealership, you get new, high-quality, original-equipment replacement tires installed by qualified technicians. Service professionals at your local dealership are experts on your vehicle’s make and model. They know how to correctly install the right set of tires for you. So, while it may be tempting to try and save money by equipping your vehicle with a set of used tires, consider the risks. Driving on unsafe tires can lead to a blowout that could cause a serious accident. Don’t take chances when it comes to your vehicle or, more importantly, your own safety. Only purchase new tires and get them installed by a factory-certified professional. It’s also a good idea to have your tires regularly inspected by a qualified professional at a dealership in order to make sure the tires on your vehicle are safe and road ready.